Silk Road of China is a route of sand and considered one of the harshest natural environments on the planet. This desert has little water, little rain, and sandstorms that are brutal. Several branches off this sandy road sprouted near the seldom found oasis settlements. 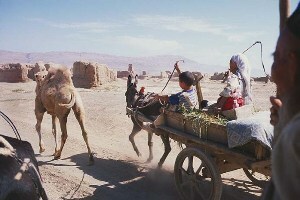 The silk road became a passage to trading commodities, animals, art, and much more with the western part of the world. The Romans found silk while conquering the Parthians in 53 B.C. The Roman's did not believe that the Parthians were able to sophisticated enough to create silk. The Roman's were able to get from their Parthians that the silk was coming from the 'silk people' further east. The Parthians found a market for the silk in Rome, because of its unique texture and magnificent colors. Besides the harsh weather and environment, when the bandits of the Han Dynasty discovered that treasures and goods were moving down the route, they would attack the caravans. The caravan needed a police force to protect them, that increased the fees and costs of moving the goods. 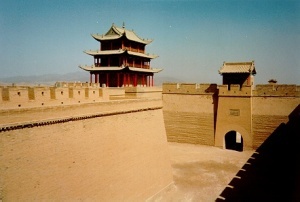 Sections of the Great Wall were being developed and then used as a barrier to seperate the caravans from the bandits. Xinjiang a city of mostly sand is now one of the great tourists attractions on the Silk Road Route. However travel isn't much easier through the desert. The Silk Road of China gives the impression of a carpet through a land with beautiful cities. 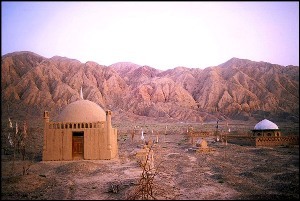 However, it has been for centuries one of the most unforgiving places in the world to travel, with settlements buried completely in the desert due to sand storms. A new settlement would pop-up sometime later.